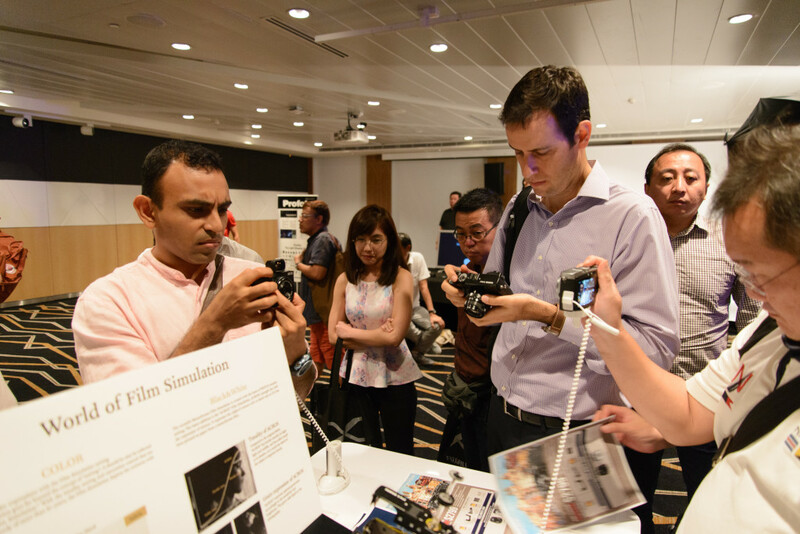 Fujifilm Singapore has launched its latest flagship, the X-H1 at the beautiful CHIJMES Hall on Singapore on 9 Mar 2018. For some reason, the X-H1 was already available from the usual dealers ahead of the launch event, though. The exterior of the CHIJMES Hall, where the event was held. Being a video-focussed camera, Fujifilm has also setup a video booth with a mock movie set, and two Fujifilm X-H1 cameras (one with the MKX 18-55mm T2.9) and Aputure lighting equipment. This was run by Flying Kick Asia. 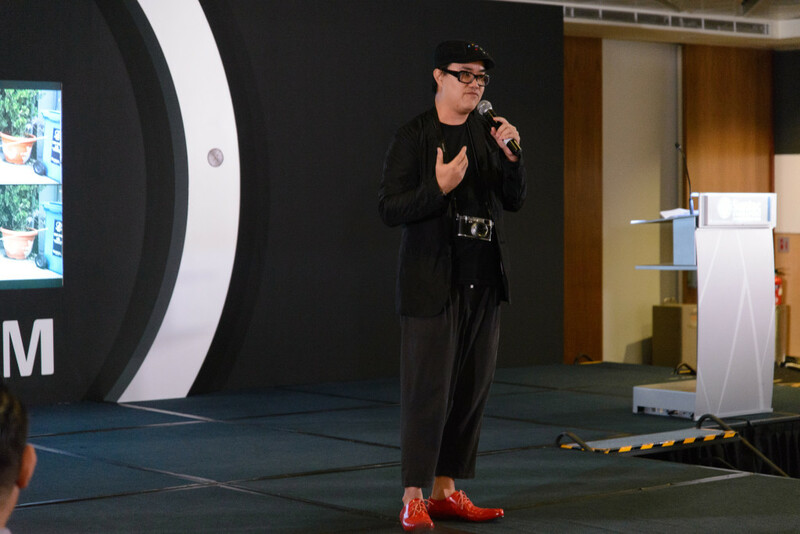 At 7pm, Favian Loo, the Divisional Marketing Manager of Fujifilm Singapore, kicked off the event, this was followed by a rundown of the new features and improvements of the X-H1 by Keitaro So, the regional product manager. The poor guy tripped on the stage when he ran up for his presentation, thankfully he was alright. Keitaro So, Regional Product Manager giving a run-down of the new features of the X-H1. The X-H1’s magnesium body is 25% thicker than the X-T2, with a larger heat-sink for the sensor, 4-layer coating on the exterior and 94 points of weather sealing. It also comes with a more substantial grip, which improves handling. All these meant that the X-H1 at 673g is heavier than the X-T2, which weighs 507g. 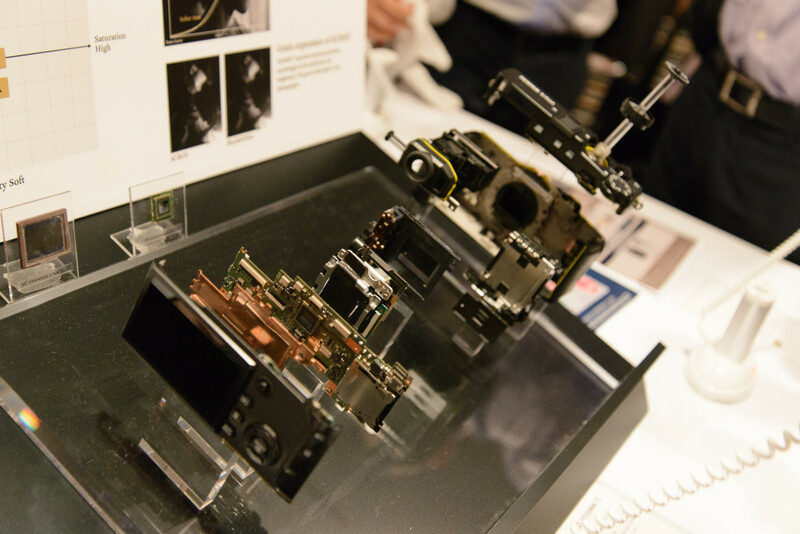 With the X-H1, Fujifilm finally has a camera with a 5-axis In-Body Image Stabilisation (IBIS) feature. Fuijfilm up to 5.5 stops of stabilisation when used in conjunction with certain XF lenses. With a feather-touch shutter button and improved shock absorber on the shutter mechanism, the X-H1 aims to reduce shutter shock, allowing it to be used at lower shutter speeds. The X-H1 can now record DCI 4K 24fps at up to 200Mbps and 4K UHD at 29.97fps. It can also record at up to 120fps at 1080p. Audio recording can now be done at 24-bit 48kHz. F-Log is now available when recording to the internal SD card, and 400% of dynamic range is available in all the film simulation modes. Based on the Fujifilm Eterna series of motion picture film, the Eterna film simulation on the X-H1 records at a lower saturation level, and aims to reduce the need for the colour grading step during post production. Along with the X-H1, Fujifilm has also launched a duo of “affordable” cine lenses—the MKX 18-55mm T2.9 and MKX 50-135mm T2.9. Before the event started, I got the opportunity to test out the camera. The deeper grip does make it easier and nicer to hold the camera, but of course, as mentioned before, this meant that the camera is now heavier. At 673g, it’s coming close to the weight of the Nikon D7500 (720g). If the weight keeps increasing, the weight benefit of mirrorless cameras will soon be nullified. Fujifilm X-T2 and X-H1 side by side. The feather-touch shutter is indeed feather-touch and very sensitive. It’ll take a bit of getting used to to find the correct “pressure” needed to reach the “half-press” point. One of the Fujifilm staff told me that this can be customised at the service centre, with 9-levels to choose from. Also, the new shutter button feels a bit more like those on a pro DSLR, which is less “clicky” than the one on the X-T2. Speaking of the shutter, the shutter sound is incredibly silent. 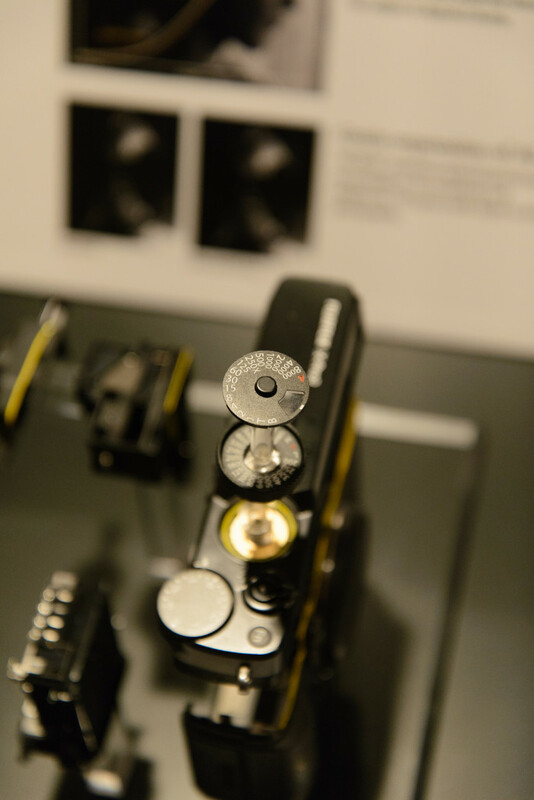 And I’m talking about the mechanical shutter on the X-H1. I actually went into the menu to check that it is indeed set to mechanical shutter. This is welcome in situations when a loud shutter can be disruptive, such as in a wedding. The new EVF, which has 3.69 million dots (compared to 2.36 million on the X-T2) looks excellent. The rear LCD is now a touch screen, but I did not try that out. One of the new additions to the X-H1 is the always-on top LCD, which can also be illuminated. This seems to be brought over from the GFX 50S, and let’s you see all your important settings at a glance. Having used the X-T1 and X-T2 for a long time, which does not have this LCD, I don’t find myself wanting or needing it, though I can see how it can be useful for some. For people who likes or prefers to use the so-called Back-button Focussing, Fujifilm has now placed an “AF On” button at the back, much like what’s on DSLRs. Previously, one would have to customise one of the rear buttons (e.g. AE-L) for this. The Fujifilm X-H1 is now available at an early-bird price of S$2899 for the body alone at the regular Fujifilm dealers. There’s also a package with the VPB-XH1 at S$3299. Both comes with freebies, including UHS-II SD cards and a microphone too! The promotion ends on 31 March 2018. 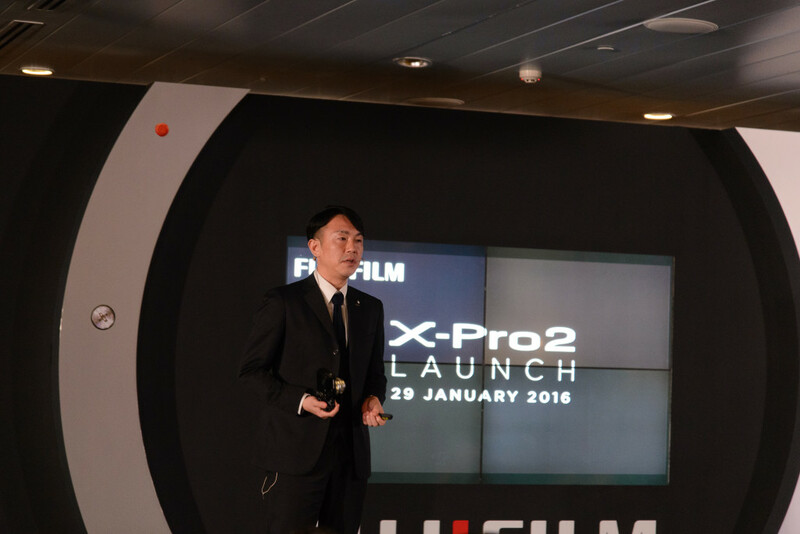 Fujifilm Singapore launched the X-Pro 2, X70 and X-E2S at a launch event at Suntec City last Friday (29 Jan 2015.) 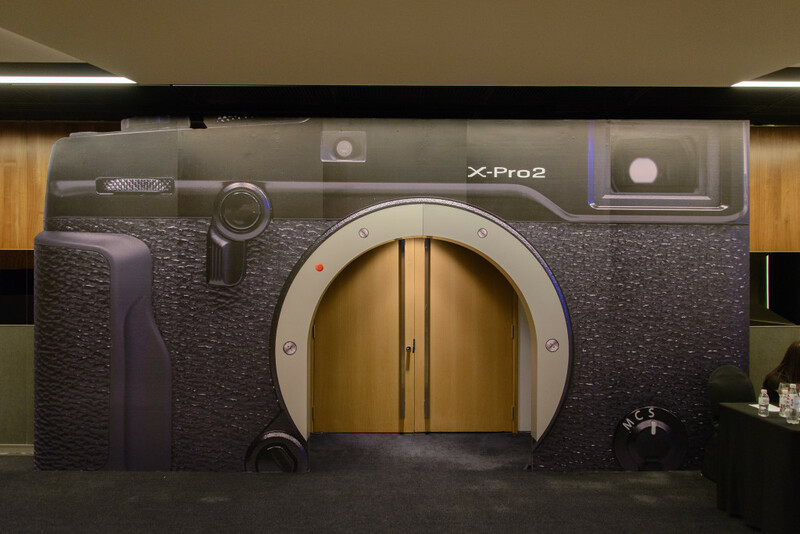 A giant sticker of a Fujifilm X-Pro 2 frames the entrance to the hall where the event was held—visitors walk through the lens mount to get in. Cute! A mini exhibition of photos made by the new X-cameras—the X-Pro 2, X70 and X-E2S greets the visitor as he walks into the hall. 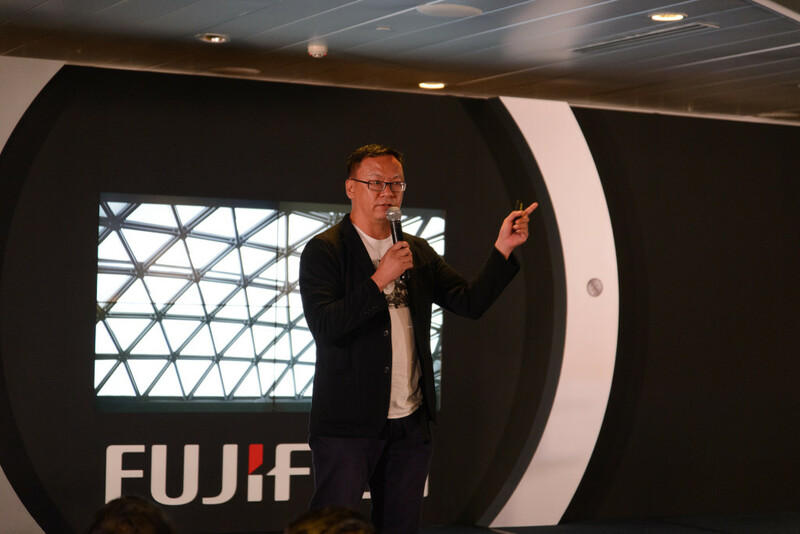 The event started off with Mr. Favian Loo, Marketing Manager of Fujifilm Singapore with a short speech of Fujifilm’s development over the past 5 years. The cameras were then launched and presented by a woman dressed as Cat Woman and another in traditional Japanese gear, both who paraded the camera to dozens of flashes popping and cameras clicking. Up next on stage is Mr. Makoto Oishi, Camera Product Planner of Fujifilm Japan, who presented on the advanced technologies found on the X-Pro 2 and X70. It’s rather interesting to know that the shutter/ISO speed dial of the X-Pro 2 consisted of 38 individual parts! 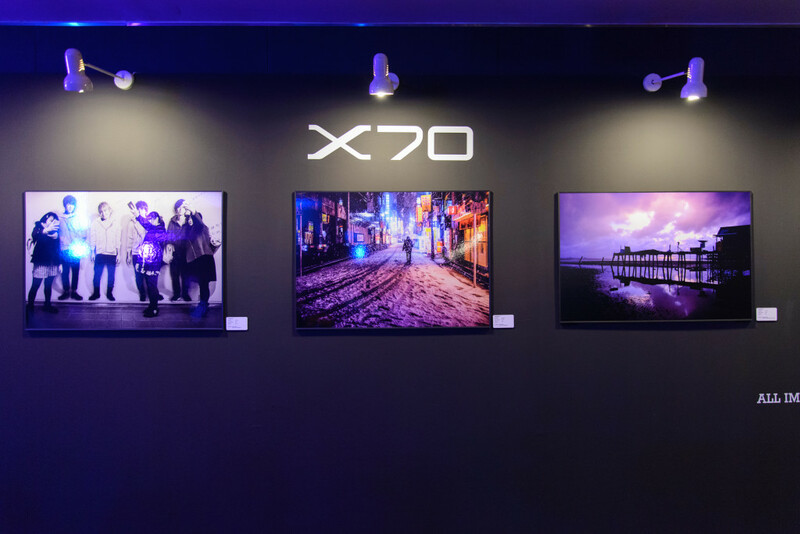 Popular local street photographer, Mr. Chia Aik Beng, more popularly known as ABC, shared his experience with the X70 in Tokyo. The small and light X70 allowed him to discreetly take street photos, as well as freely roam the city without the burden of a DSLR system. In fact, he walked up and down the famous Shibuya crossing for 3 hours! Another X-Photographer, Mr. Ivan Joshua Loh. Ivan shared with the audience how he was skeptical of mirrorless systems in the beginning, but soon switched after he tried the X-Pro 1 for his commercial work. He has since used the X-T1, X-Pro 1 and now the X-Pro 2 for his work as they are, according to him, as good as a full-frame DSLR. Fujifilm’s Ambassador, Ms Belinda Lim made an appearance at the event, sharing her experience with the X-cameras during her recent trip. 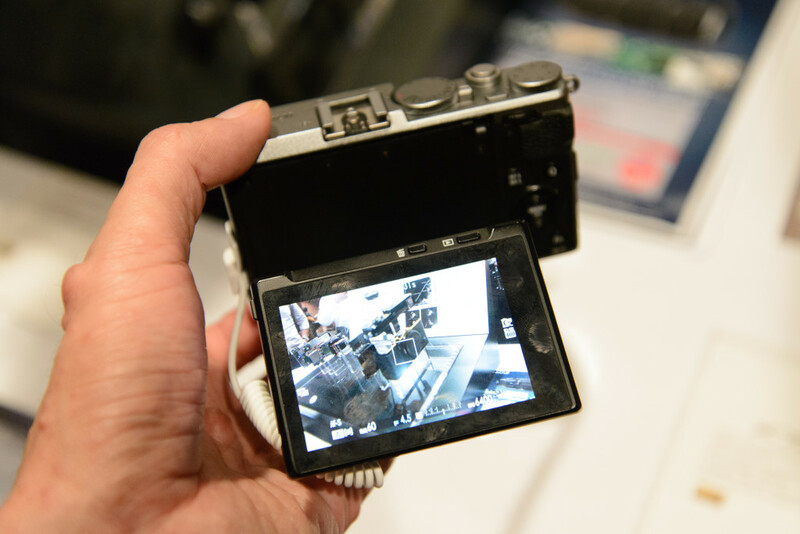 She also added that the video quality from the X-Pro 2 is good enough to function as a backup vide camera in case the one used by her video crew fails. Next, we were ushered to the next room where we can have a hands-on experience with the newly launched cameras (and a couple of the older ones as well.) I spent a short time with the X-Pro 2, and in my excitement, I did not take photos of it. Then again, you probably already knew how it looked like anyway. Here’s a shot of the interior, though. The first couple of things I did was to test out how much faster the improved AF is, and it is indeed a big improvement over the original X-Pro 1. In my unscientific tests of randomly pointing it at stuff and trying to acquire focus, it is at least as fast as my X-T1 with firmware 4.0. However, chatting with other users seem to reveal that the different units on the show floor seem to perform slightly differently in terms of AF speed. We were told they are still pre-production units, which might explain the anomaly. The EVF is also much improved over the 4-year old X-Pro 1. With a much higher refresh rate and resolution, it’s now a joy to use. It reminded me of the time I first tried the X-T1 and got totally impressed. Not being a rangefinder person, I don’t have much comments on the OVF, but the ability to automatically change the framelines according to the lens used might appeal to some. One nice touch of the X-Pro 2 is the little joystick at the back of the body for AF point selection. This works far better than the (originally) mushy D-Pad found on the X-T1. Moving on to the X70, it’s roughly the same size as the Ricoh GR, but with a nicer aesthetic design (to me anyway.) The tilt LCD screen is perfect for creative angles and shooting the selfie/wefies that are all the rage these days. 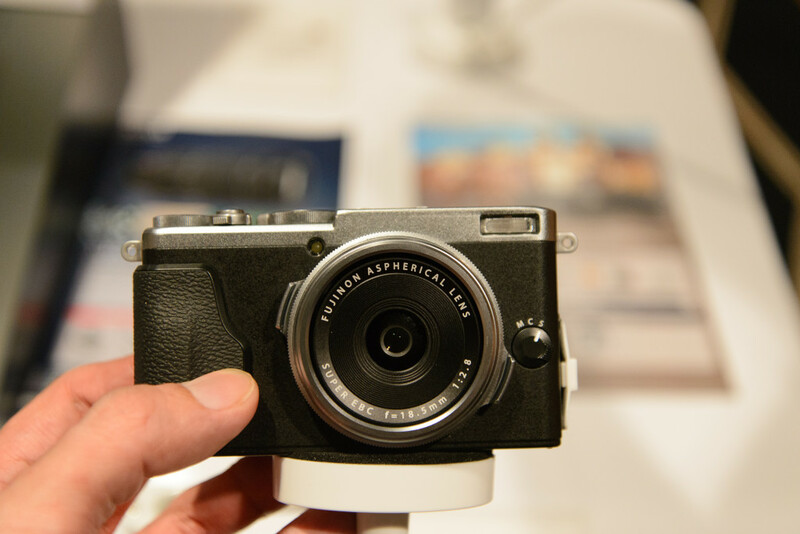 The downsizing has meant that Fujifilm did not include an EVF on the camera, but there is an optional optical viewfinder which can be mounted to the hotshoe that you can buy. AF speeds unfortunately isn’t great, though not as slow as the original X100. I’d say it’s roughly similar to the X100S. Maybe the lighting conditions at the event weren’t ideal. Build quality wise, both felt solid in the hands. I didn’t try the X-E2S as it’s not much of a change over the X-E2. In fact, the X-E2S and X-T1 were pretty much neglected at the test stations, with everybody clamouring over the X-Pro 2 and X70. 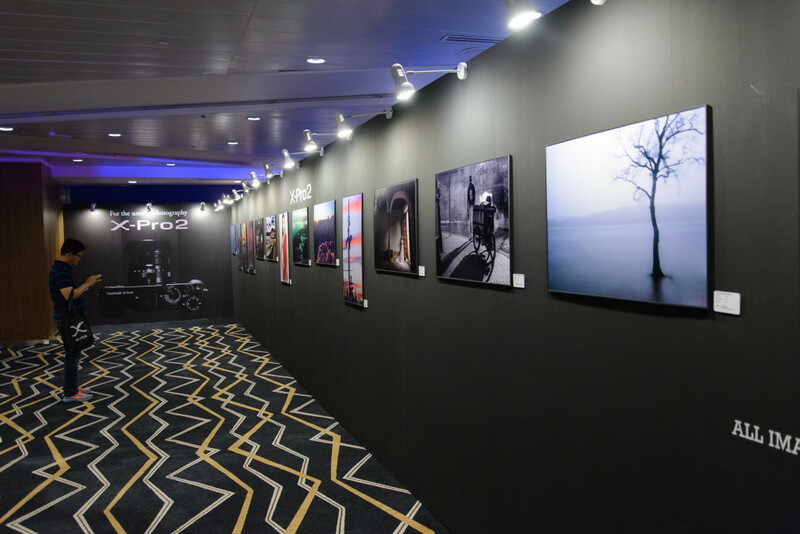 The X-Pro 2 is now available from your favourite dealers at S$2,799, the X70 at S$1,199.